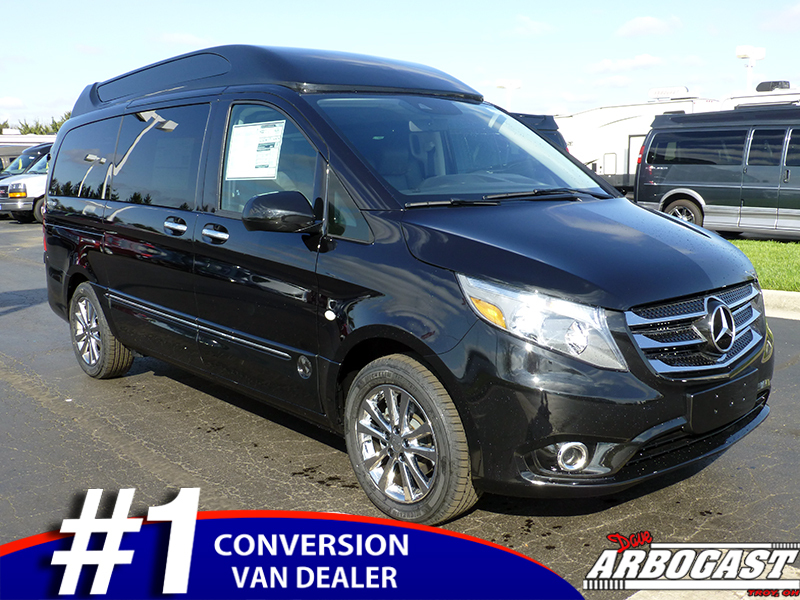 The Mercedes Metris Conversion Van is truly a one of kind automotive engineering masterpiece. Being ‘One of a Kind’ is not an easy title to obtain and the elements that allowed Mercedes to do so are its intricate details, features, and world class performance. Mercedes created a van that would allow for the same interior space of a large van, but with the exterior physical features of an Explorer Van. The uniqueness of this vehicle shines with the capability of being able to park a ‘Raised Roof Van’ in a standard vehicle garage; this is a capability that has never been accomplished until the creation of this Mercedes Conversion Van. The Mercedes Metris delivers a touch of class when it comes to the interior and exterior details and features of this van. A Vista Cruiser Top Roof, allows the natural light to pour through creating an ambient setting for driver and passengers viewing pleasures. A 22 inch flat panel TV-screen offers HDMI access for camcorders, blue-tooth wireless headphones, and gaming system connectivity, providing entertainment for all. 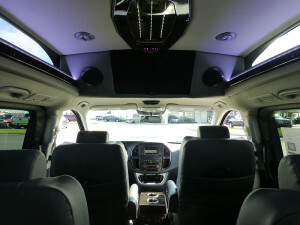 Dual sliding doors, Dual climate controls, Blue-Ray player, USB ports, AUX jacks, LED lighting, Infinity lights with a ‘dimmer package’ option, Reading lights and Map lights are among the many features offered in this unique Mercedes Metris Explorer van. Wood grain covers the van from front to back presenting a tasteful/first-class environment for everyone. Passengers are able to relax in a comfortable leather Captains chair and rear sofas with full 180 degree swivel capability and one button retraction features. Powered by a 2.0 L 4-cylinder inline, turbo charged, 7 speed transmission, 208 horsepower engine with 258 lb/ft of torque; the Mercedes Metris offers supreme power and performance to get through those rough terrains. The front center console features a State of the Art Harmon Navigation System with Bluetooth capability that will sync your cell phone contacts! Equipped with Ultrasonic Park Assistance and Search/Find Parking Assist Technology, this Explorer van will virtually park itself with help from a rear ‘True in Motion’ camera that guides drivers where to put the back end of the vehicle and detracts in any gear but reverse. The driver bay features easy access to useful features such as Lane Keeping Assist and Visual notifications in the dash, that gives audible beeps to followup visual notifications. The Mercedes Metris delivers protection and safety with full front to back curtain airbags and an Active Safety Package Plus option. The sun roof also closes when the key is out of the ignition, making sure no rain gets in the car! 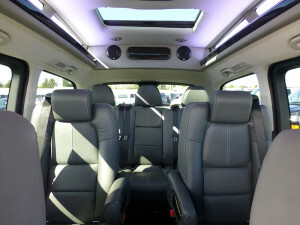 This Explorer van offers endless features/options that sets it in a unique and special category of its own.